This year’s Bournemouth Marathon promises to provide an intriguing race with local club mates Anthony Clark and Jacek Cieluszecki set to battle it out on the Bournemouth Marathon course. Anthony Clark of Bournemouth AC is one of the favourites in the men’s race heading into the race after an impressive run at this year’s Virgin London Marathon, finishing in a time of 2:33:26. 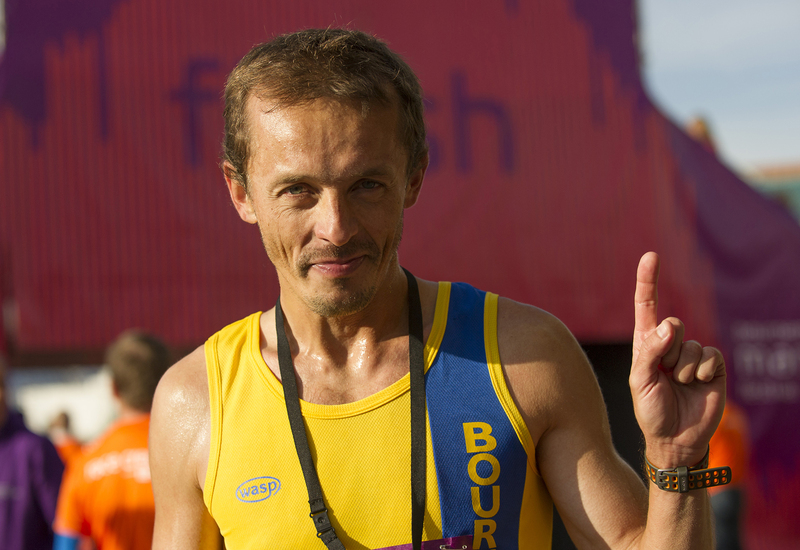 Another contender for the marathon title is club mate and experienced marathon runner, Jacek Cieluszecki, who will fancy his chances after winning the 2014 Bournemouth half marathon, and finishing a respectable 6th and 7th place in the 2016 and 2015 full marathon behind a strong field of elite athletes. Jacek will be looking to improve on previous positions and gain a marathon podium finish for the first time. On the women’s side, Laura Trimble, a former triathlete who competed at the 2011 Duathlon European Champions looks a firm favourite to win the women’s race, with a marathon PB of 2:53:26 at this year’s Virgin London Marathon. The main contender to Laura is likely to be Elizabeth Dyson of Haldon Trail Runner, who recorded a time of 3:19:15 at the Virgin London Marathon. Behind the quick times, there’s some incredible marathon feats to look forward to. Bournemouth Marathon regular Steve Edwards is on course to complete his 799th marathon before attempting to secure a New Guinness World Record for running 800 official marathons in the fastest average finish time, which he aims to do at the Birmingham Marathon. While Karl Randall is set to cross the finish line for his 300th marathon.